With offices in the US and Europe, Rapid Micro Biosystems has a singular focus on providing businesses a technology for automated rapid detection through the Growth Direct™ System. The Growth Direct™ System, by Rapid Micro Biosystems, automates the detection and enumeration of colonies in microbial quality control in manufacturing. The system includes 2 incubators, robotics and imaging systems that detect and enumerate microbial growth in about half the time of the traditional method. By using the natural autoflouresence of living cells, the system “sees” colonies forming at about 100 cells, far sooner than the human eye. This allows the technology to provide results in about half the time of the traditional method while preserving the colony. The Growth Direct™ System is designed to be a single test method for use with all the key tests in the microbial quality control lab including bioburden testing, environmental monitoring and sterility testing. 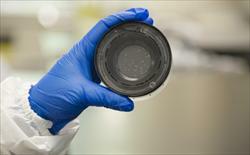 Sample preparation closely matches the existing tests, simplifying training of technicians. The technology can support all tests within one instrument, or each test within a separate unit. Flexible Deployment The Growth Direct™ System is self-contained, housing 2 incubators, software, robotics and imaging. Once a sample is loaded, the Growth Direct™ System manages the incubation, detection, enumeration and reporting. Because of this, the system could be deployed outside of the lab, closer to the manufacturing area, saving time in transportation. Integration to LIMs The technology is designed to seamlessly integrate with existing laboratory information systems, eliminating manual keying errors . Positive results in hours The Growth Direct™ imaging technology is regularly viewing and analyzing cassettes for growth. This means that positive results can be available in hours, allowing the business to quickly react to an OOS event. Final results are available in about half the time of the traditional method. Non-destructive The Growth Direct™ System is non-destructive and uses no reagents. 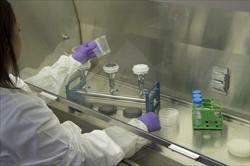 Colonies are available at the end of the assay for investigation and identification. Less Complex Validation The Growth Direct™ technology is based on the compendial method, uses industry standard media, reports in CFUs or positives in the case of sterility, and replicates the current sample preparation. This makes the method less complicated to validate than other technologies. 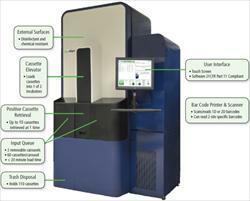 The Growth Direct™ System automates microbial detection and enumeration in quality control.